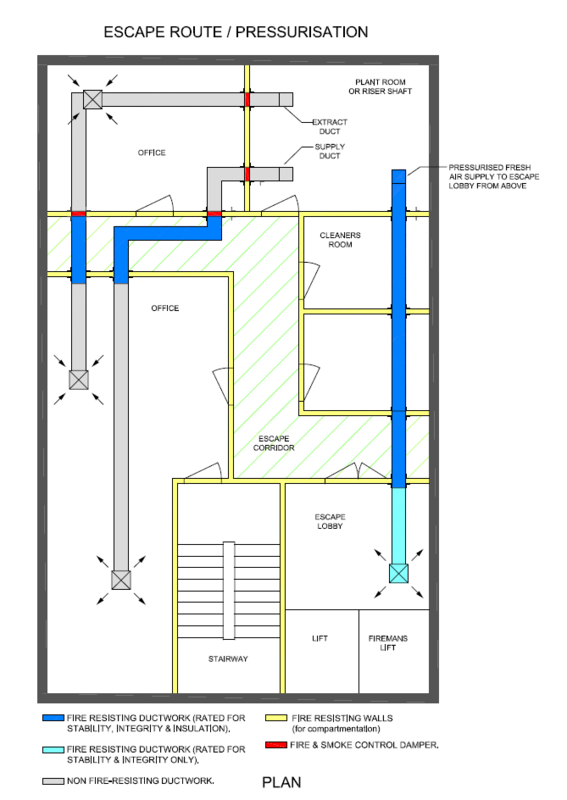 In accordance with BS9999, escape route ductwork must be fire resisting in areas where there is a high risk of fire and / or where ducting crosses protected escape routes. Ducts that cross the escape corridor require Stability, Integrity and Insulation ratings at least equal to the rating of the barrier through which they pass. 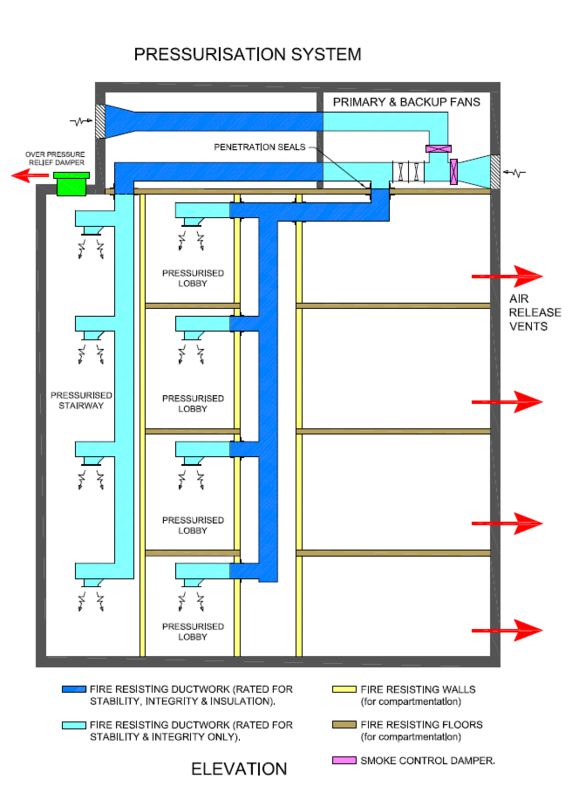 An escape route duct would require two fire dampers if either side of the escape corridor is constructed with non fire-rated duct. Using CASWELL FIRESAFE® non-coated fire resisting ductwork halves the quantity to just one damper. This therefore halves the costs associated in damper purchase, installation, periodic testing & maintenance and, more than likely, eventual replacement.